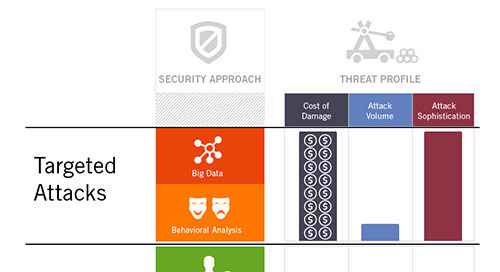 There are two dilemmas with your security stack. 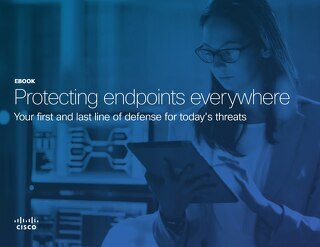 First, your threat protections must wait until malware reaches your perimeter or endpoint before they can detect and prevent. 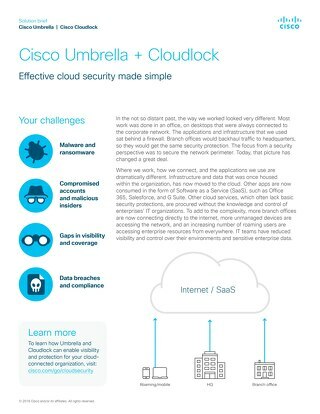 Second, your mobile employees must keep their VPN always on for your full security stack to have control and visibility. 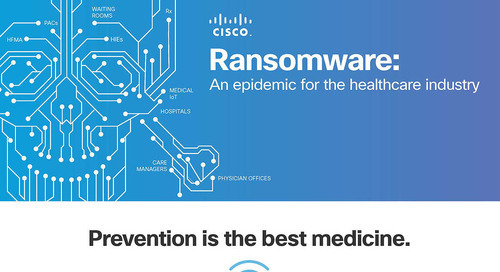 Malware as well as command and control servers and phishing sites reside on the internet. 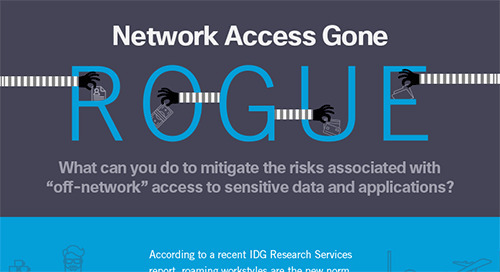 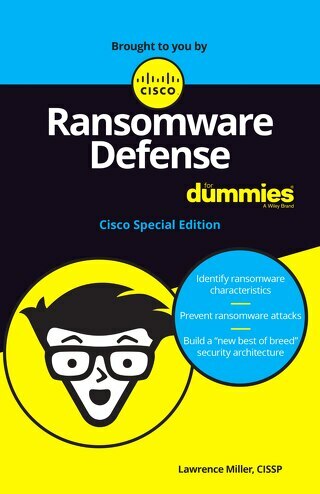 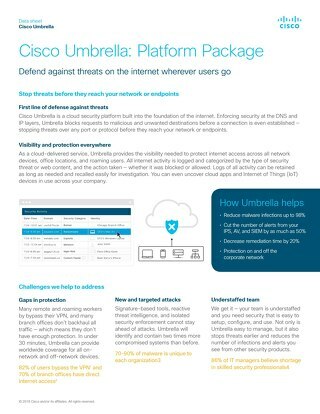 Cisco Umbrella leverages the internet's existing infrastructure — the Domain Name System — to block these threats. 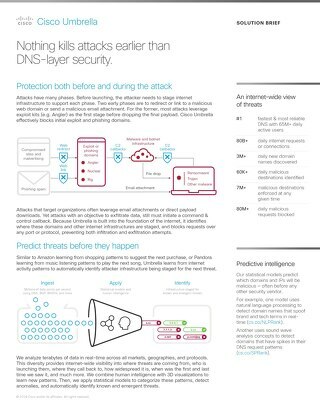 Blocking threats on the internet results in a 2-10X reduction in break-fix busy work and security alert noise. 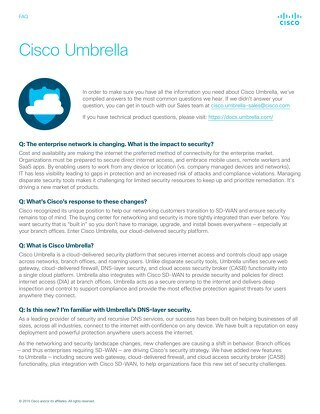 Your mobile employees get work done using Office 365, Salesforce, Box, and other cloud-hosted business apps, which means they don't turn the VPN on. 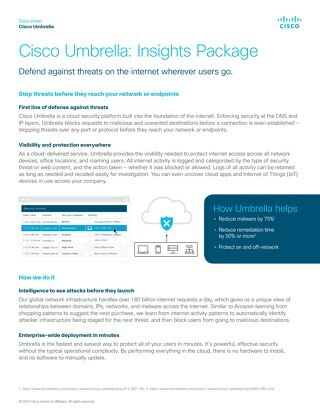 Cisco Umbrella cloud security platform provides the first line of defense on the internet wherever users go. 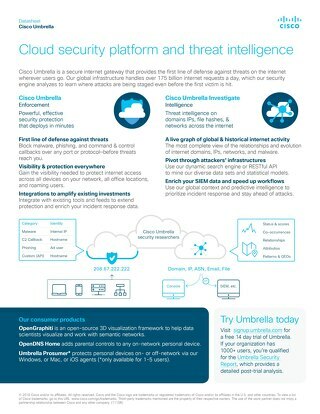 You can even extend existing threat protections beyond your perimeter using our API based integrations. 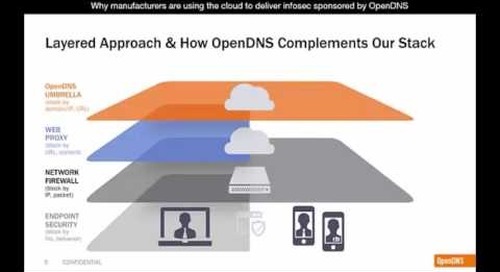 Learn why companies are shifting security to the cloud. 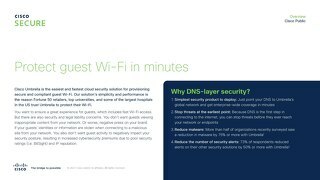 And why it takes only 30 minutes to protect any device, anywhere.